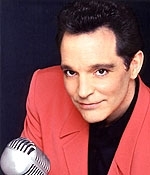 JUNE 27--Three months before Richard Jeni shot himself to death in his Hollywood home, the comedian was involuntarily hospitalized after complaining of suicidal depression and saying that he would "jump off a building," according to a coroner's report. In late December, Jeni visited the emergency room at Cedars Sinai Hospital in Los Angeles and was "diagnosed with suicidality, homicidality, and depression" and "placed on 51/50 hold," which allows medical officials to involunatarily confine a patient for up to 72 hours. The coroner's report on Jeni--who was born Richard John Colangelo--was released yesterday and an excerpt from the document can be found here. On March 10, with his girlfriend downstairs making breakfast, Jeni, 49, placed the barrel of a .38-caliber Colt Detective Special in his mouth and pulled the trigger. One week earlier, Jeni's girlfriend saw the comedian talking to himself, saying, "Just squeeze the trigger." The woman, Amy Hasten, told investigators that due to the stress of Jeni's work schedule, the performer had "problems with insomnia, paranoia, and high blood pressure." Additionally, the report says that the performer had a history of schizophrenia and was taking Remeron, an antidepressant. Submitted by raymerritt62 on Sat, 2010-09-25 19:34. Man it's really sad, he was one of the greats. There are only about 4 or 5 that I ever watched and thought were funny. Life is tough and he really helped us all by giving us something to laugh about. I hope he knew how much we loved him. I wish we could have him back. Now, Robert Schimmel is gone. Please God, don't take anyone else from us! Condolances to the families.